In its own well-written, sophisticated (and yes, funny!) 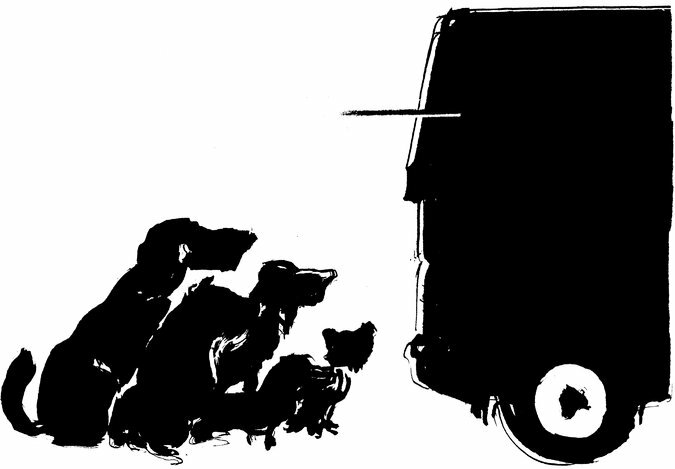 way, this recent NY Times Op-Ed piece perfectly explains why the transportation of dogs from overcrowded, high kill shelters is crucial to saving hundreds of thousands of canine lives. Using her beloved rescued dog, Landon, as an example, the author, J. Courtney Sullivan, traces the history of the infrastructure that was put in place after Hurricane Katrina, and how this infrastructure facilitates the transport of dogs from rural shelters in the south to rescues and shelters in the Northeast. This not only helps relieve overcrowded southern shelters, but boosts the northeastern shelters too. How? It stocks those shelters with adoptable dogs, including a good percentage of puppies, making them competitive with pet stores whose "inventory" comes from puppy mills. There are quite literally, countless ways that overcrowded shelters can help abandoned dogs find homes, and transporting orphaned animals to areas of the country with greater demand is just one important way to reduce overall euthanasia rates. What strategies does your local shelter use to help dogs get adopted, and what do you recommend? We'd love to hear them! We so agree and we wish more people would volunteer and help with rehoming and reduce the number of pets out down. Have a fabulous Friday. I know several of our local shelters receive dogs from other locations and it works. Logically it just works to move the supply to the demand. I do think our local shelters and rescues could work on streamlining their adoption processes and focus on the most important qualifications for an adoptive family. Lately I've had some concerns as I've talked to people who have walked away from shelters/rescues to go to breeders and the issues they've had are not ones I'd consider to be priorities in the best interest of the dog. Perhaps personal preferences of someone in charge, but not things that are ultimately going to effect the long term health, safety, happiness, and ability to have a forever home. That is something I'd like to see more openly discussed. And thanks for your comments, Molly and Bailey. We agree that shelters should make every effort to streamline their adoption processes, including using the same criteria across the board for prospective adopters. It shouldn't be subject to an individual's whim.